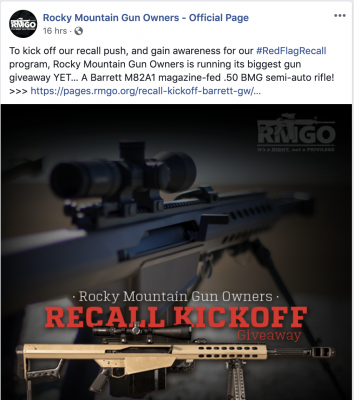 A Colorado anti-abortion group shared a meme implying support from Harry Potter author J.K. Rowling, only to be called out by their own supporters and rejected by the author’s publicist. 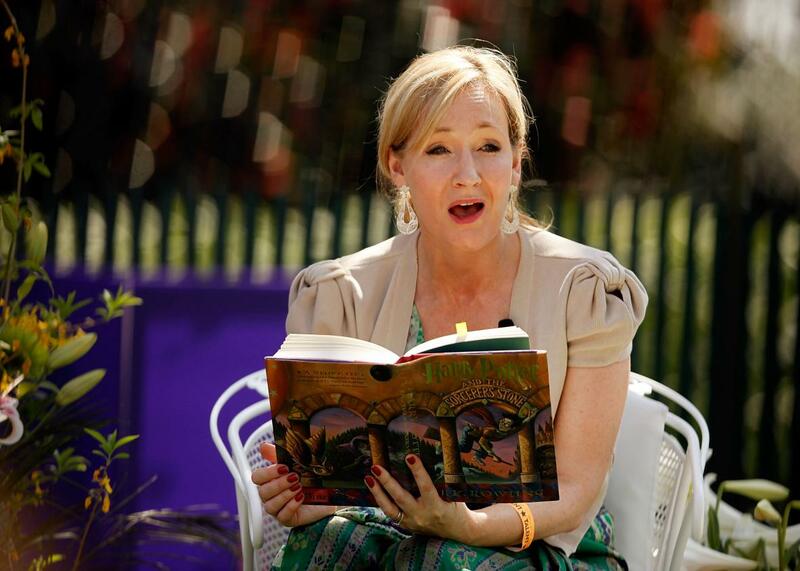 And, as it turns out, Rowling has been a vocal opponent of anti-abortion policies. 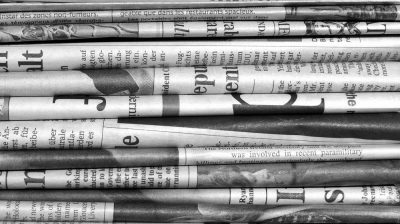 Last year, the author criticized President Trump on Twitter for reinstating the Mexico City Policy, a rule that bars international organizations that provide abortions or information about abortions from receiving federal funding. Rowling pointed out that the policy “risks the lives of some of the poorest women in the world,” citing a Guttmacher Institute study that found the policy drastically weakens access to family planning services in areas where women are at high risk for HIV/AIDS. She also said the policy would make abortion less safe. 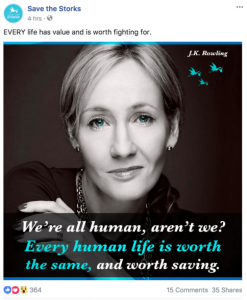 And, as Harry Potter fans may recognize, the quote comes not from the author herself, but from one of the last books in the series, and has nothing to do with defining fetuses as human lives worth saving. Save the Storks’ anti-abortion supporters called out their factual rift on Facebook. 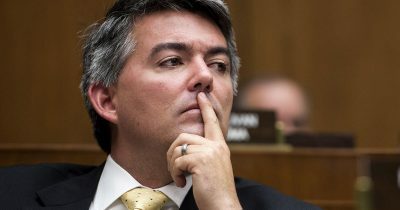 Save the Storks partners with anti-abortion pregnancy centers that are well known for trying to lure pregnant women who might be considering abortion through their doors, including by posing as full-service women’s health care clinics that offer abortion. Many of these centers are located near legitimate abortion clinics, in an apparent attempt to confuse women who might be searching for an abortion provider. 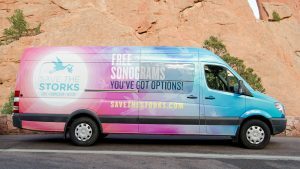 Save the Storks’ has mobilized this model by using vans, which offer many of the same services as pregnancy centers, like free ultrasounds, pregnancy testing, and counseling, and often park outside of abortion clinics. Pregnancy centers also have been found to misinform women by making abortion sound medically risky, often citing psychological problems and breast cancer as potential side effects to the procedure, despite evidence to the contrary. Save the Storks is known to market toward Millennials, perhaps explaining why they’d co-opt a quote from one of the generation’s most prized and popular storytellers. These pregnancy centers have been thrust into the national spotlight in recent weeks amid a Supreme Court case targeting a California law meant to regulate those centers by requiring them to clearly inform women if they aren’t licensed to perform medical care and provide information about low-cost family planning services in the state.